A developer who goes by the alias NTAuthority recently showed off a OnePlus 6T handset running Windows 10 on ARM operating system. After some tweaks to the system, Windows 10 ARM on OnePlus 6T works without any major issues. 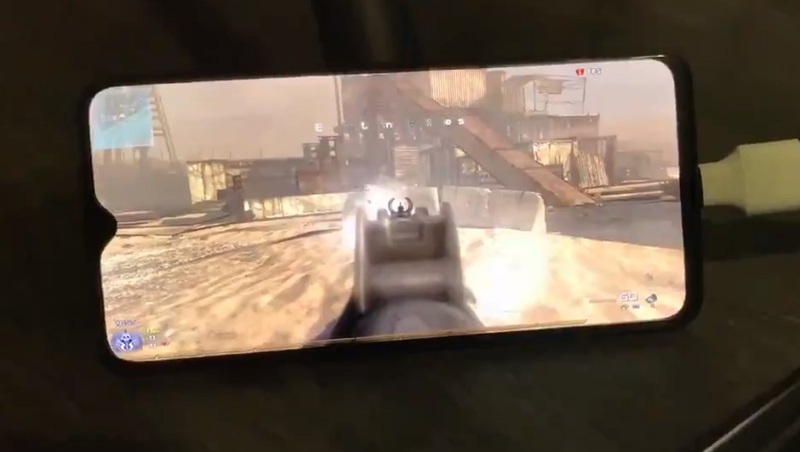 NTAuthority has now shared more progress on this crazy cool project and as per the screenshots or videos, he was able to play Call of Duty Modern Warfare on hacked OnePlus 6T running Windows 10 ARM. It is important to note that OnePlus 6T is able to handle Windows 10 on ARM because of its Snapdragon processor and display that uses a Synaptics touchscreen controller. Windows 10 devices are compatible with trackpads developed by Synaptics and there are some ways to make the touch panel of OnePlus 6T work with Windows 10. The idea of running full Windows 10 desktop on OnePlus 6T is not practical and it’s not something you would want to use it on a daily basis. But it does unlock access to tons of new stuff. As noted above, Windows 10 ARM-powered OnePlus 6T is able to run game Modern Combat 2 and the game runs smoothly when played with a connected keyboard. In addition to Modern Combat, the handset is also able to run apps like Chromium and even the system apps of Windows 10, including Task Manager. It is also worth noting that the community has been experimenting with Windows 10 on phones like Google Pixel 3XL and now OnePlus 6T. The work could pave the way for installing and booting Windows 10 on more Android devices and developers may soon consider publishing a tutorial or an app that would let anyone try the OS on their smartphones.